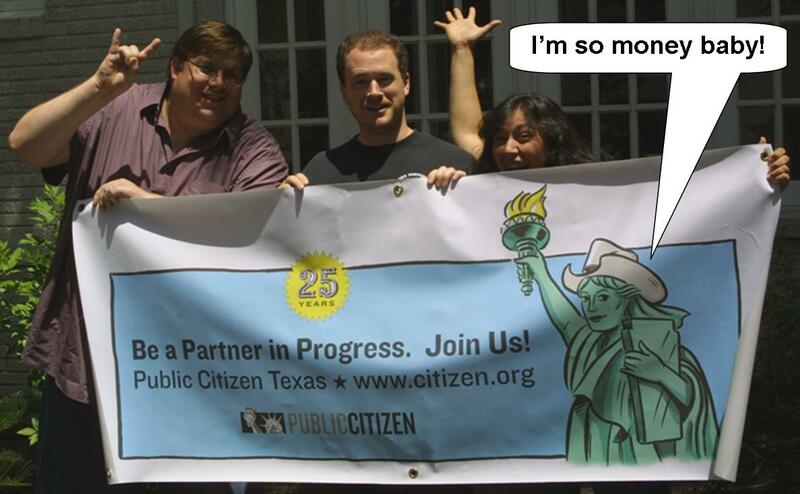 Melissa Sanchez of Public Citizen Texas tells us about karaoke last night, Van Jones, and lots of good panels today. Se y’all tomorrow for our final update from Vegas. Ah well, it will be a party for everyone else, and I’m sure I’ll have some fun– I’ll take some comic books and it’ll be exactly the same for me. After all, I couldn’t ask for two better traveling companions: Ryan Rittenhouse, our illustrious anti-coal organizer, and Melissa Sanchez, master of… basically everything in our office. Public Citizen will have a booth. Come join us and grab some swag. Texas Caucus and Environmental Caucus:unfortunately both are taking place at the same time, Thu at 3pm. Andy will be at the Enviro Caucus, Ryan and Melissa will be at the Texas Caucus. Karaoke, Trivia Quiz, and Bowling Parties- oh my! Just because I don’t drink doesn’t mean I don’t love all of the activities that generally accompany it. Watch for us to be involved in these events. Want to join a trivia quiz or bowling team with us? Want to sing a duet with Ryan (and really, who doesn’t?) Come find us!